You have a couple of different options for Disney Babysitting Services. 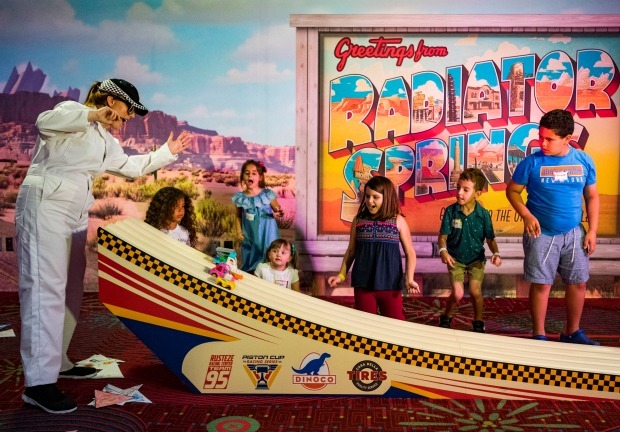 You can use Kid's Nite Out and have a babysitter come to your room (or even accompany your family to the parks!). 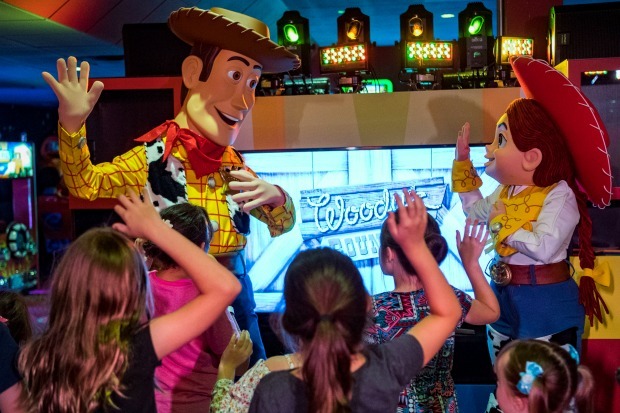 Older kids (4-12) can enjoy the Children's Activity Centers located at the Walt Disney World Swan and Disney's Contemporary Resort. If a babysitter is needed throughout your stay, the Walt Disney Company recommends utilizing the services of Kid’s Nite Out. Kid’s Nite Out caregivers can provide one-on-one in-room childcare in the comfort of your Walt Disney World Resort room or can just hang out with your family if you need a father’s/mother’s helper. The sitters are over the age of 18 years old and are certified in child/infant CPR and basic first aid. Reservations can be made up to three months in advance by calling (800) 696-8105 or (407) 828-0920. At least 24-hours notice is required. 1 child - $18.00 base rate per hour, $3/ more per hour for up to three more children; $2/more per hour for up to 5 children. For groups of more than 5 children, all children must be 2 years of age or older. Please call Kid’s Nite Out at (800) 696-8105 for these rates. There will be an additional fee for reservations starting before 8:00am or after 9:00pm. One-time transportation fee of $10 will be added to total bill for the care provider. All rates are hourly based, with a 4-hour minimum, and a one-time transportation fee. Cancellations require 24-hours notice (48-hours on holidays) to avoid the 4-hour charge. Advance reservations are required. Prices are subject to change without notice. For childcare on holidays and special events, rates are subject to change. Caregivers are able to accept a gratuity in cash if you feel that you were extended exemplary service. It's important to note that a mother’s/father’s helper will need a theme park ticket purchased for their admittance if you plan on using their assistance within the parks. 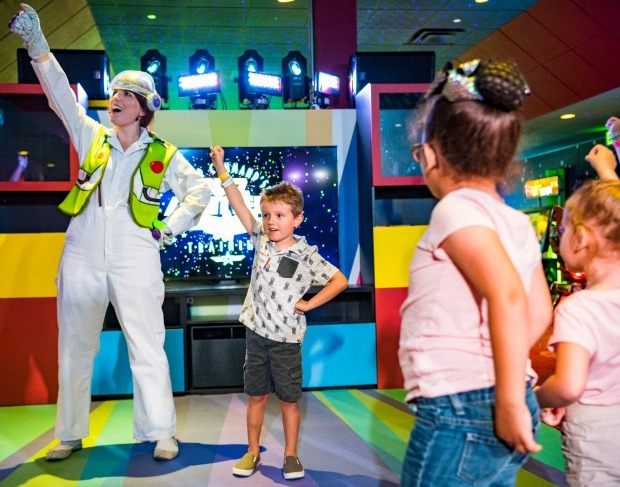 Children’s Activity Centers are designed to give kids who are potty trained (no pull-ups allowed) and between 4 and 12 years of age a fun place to enjoy games and activities while you enjoy some Disney grown-up fun! Dinner is served at approximately 6:00 p.m and is included in the cost of the service as well as a snack that's served at around 10:00 p.m. Hours of operation vary by location (see below) and can be booked in advance by calling (407) WDW-DINE. A credit card guarantee is required and the cancellation policy is 24-hours prior to arrival to avoid penalty charge. Rates vary by location; see below. Features: Supervised activities including sports, games, movies, arts and crafts, as well as special events. Meals: Dinner and snack will be served. Hours: 5 p.m. - 10:30 p.m. Features: Between 5 p.m. and 6 p.m., kids who have checked in and washed their hands can play the arcade games or other free play activities. Planned activities begin at 6 p.m. with "Space Ranger Training" where the kids make “super power” bracelets. Later, they form teams and build race cars out of Legos for the Piston Cup Challenge. Woody and Jesse stop by to meet and play with the kids then Mr. and Mrs. Incredible host a dance party to finish off the evening. 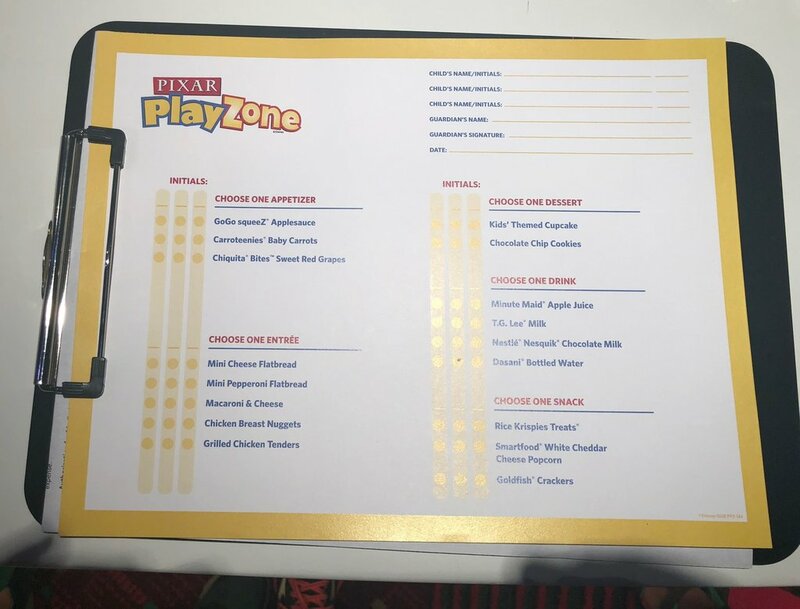 Menu: Dinner and dessert for the children are included in the experience. Reservations: Required and can be made by calling (407) 824-KIDS. Registeration is required by 5 p.m.